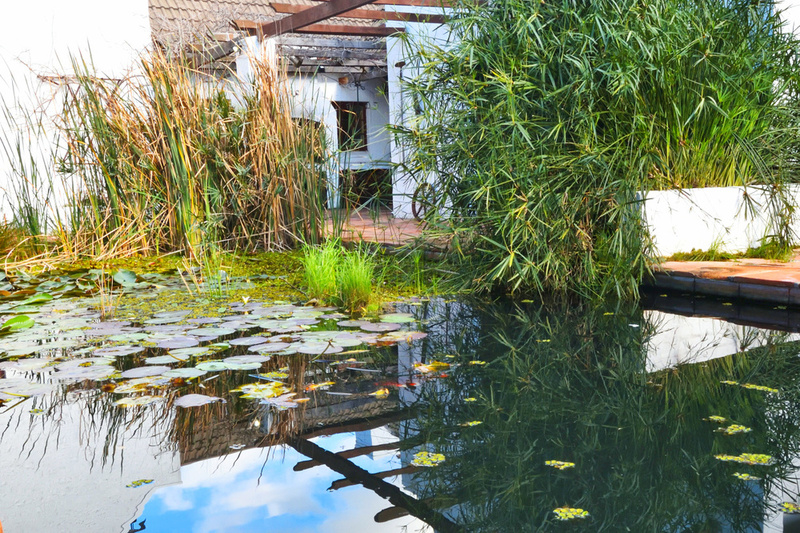 Luxury Self Catering Accommodation with water! 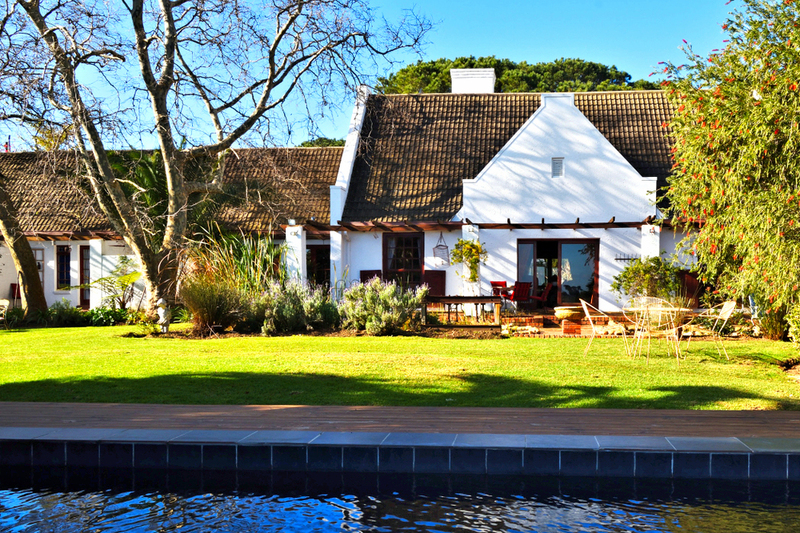 Luxury short-term accommodation in Somerset West. 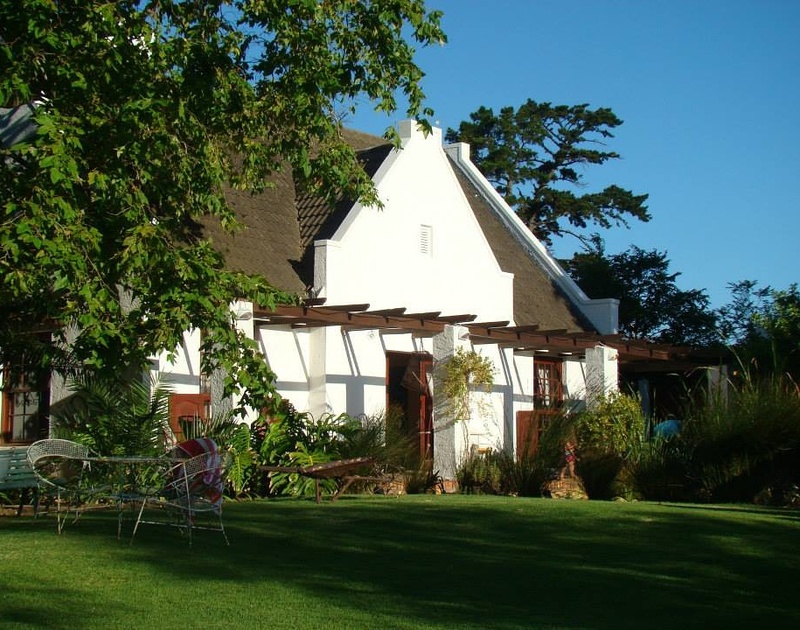 Homestead, luxury cottages, corporate, room only and self catering accommodation. 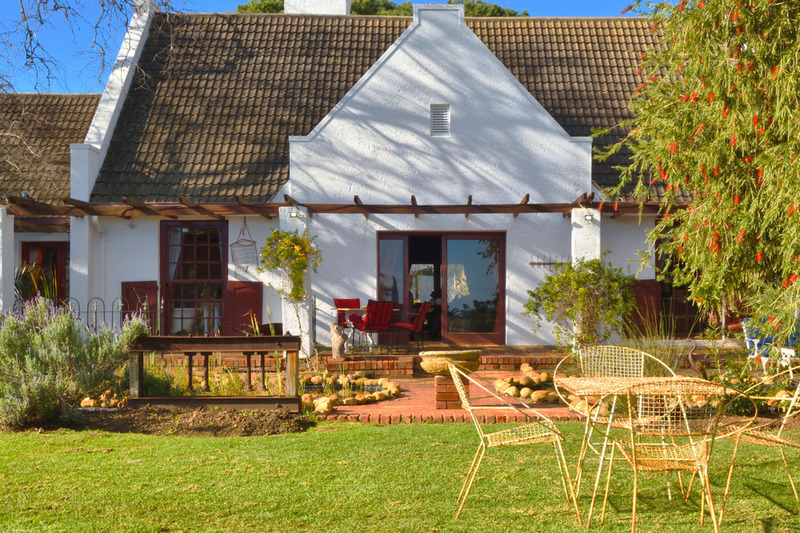 Our characterful Cape Dutch Homestead with stylish old world charm and comfort in a beautiful and tranquil park like water garden setting is available as a self catering whole, or as bed only separate suites. The Garden Cottage is a spacious self catering unit with an open plan TV lounge dining area with a cozy fire place that opens onto a private sitting area. Two bedrooms, one with double bunks can sleep up to 4 people. Good value. 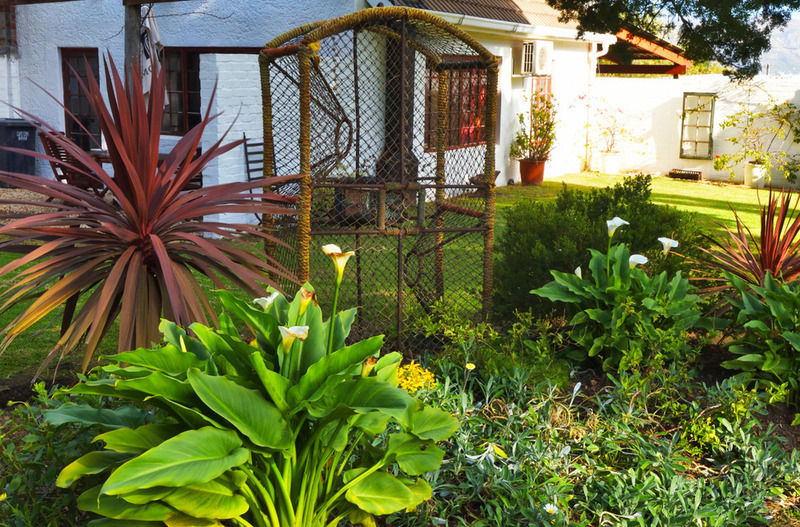 The Garden Suite is annexed to the Homestead and ideal for a couple or family of up to four. The self catering unit has inter leading bedrooms, bathroom, comfortable TV lounge with fire place and a small kitchen. 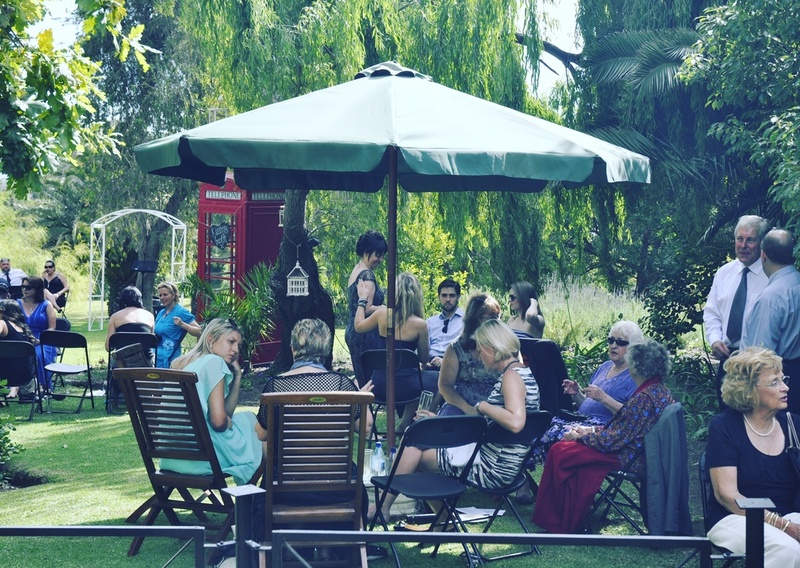 The Executive Suite is a spacious self catering unit with an open plan TV lounge dining area that opens onto a private garden with barbecue facility. One bedroom with queen bed sleeps up to two persons. The Duck Pond Cottages are two semi-detached bed only units with en-suite bathrooms. Tastefully furnished with sliding doors opening onto private decks overlooking a small duck pond. Sunset Cottage is a spacious self catering unit with an open plan TV lounge dining area with a cozy fire place that opens onto a private deck. Three bedrooms, one with double bunks can sleep up to 8 people. Good value. Stoney Pine is a spacious self catering unit with an open plan TV lounge dining area that opens onto a private deck. Two bedrooms, one with a queen bed and another with two singles sleep up to 4 people. The Courtyard is a beautiful romantic bed only unit, with a balcony with a view of the mountains. It has an in-suite bathroom with shower. This is the room for dreamers and lovers wanting to whisper sweet nothings. No.4 @ Chelaya is a spacious self catering unit with an open plan TV lounge dining area with a cozy fire place that opens onto a private deck. Large well appointed kitchen with modern appliances, ideal for cooking up a storm. Squirrel's Nest is a spacious self catering unit with an open plan TV lounge dining area that opens onto a private deck. Four bedrooms, two with a double bed, one with two twins and another with double bunks sleep up to 8 people.